Do you have healthy garden soil? Ensuring that you do is a continuing task. Here’s what you need to know. Sure, it’s January and in many parts of the country spring is weeks — even months — away. But it’s never too early be thinking about how you are going to get your garden plot ready as soon as planting season rolls around. 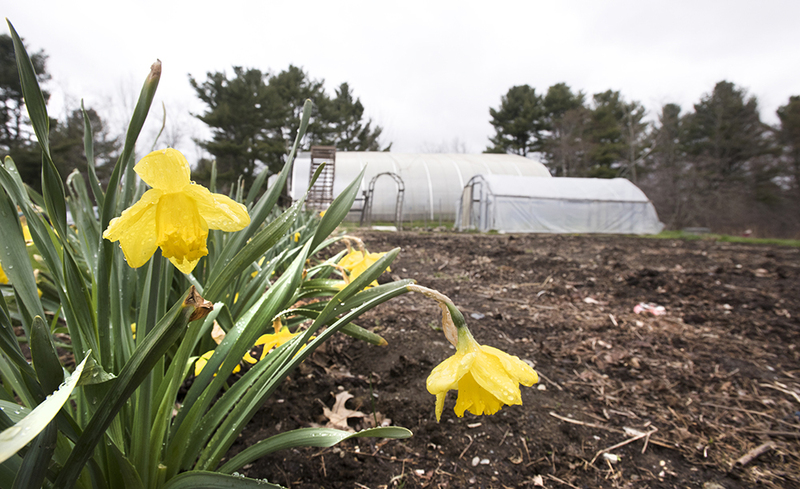 From getting a handle on what’s in your soil to additives like compost, Kate Garland, horticulturist with the University of Maine Cooperative Extension Office, has some suggestions and steps to take before you put the first seeds into the ground. Your plants spend their entire lives in the soil and for them to have the best chance possible, you need to know what’s in that soil before dropping in a single seed or seedling. Soil test kits are available from most farm and garden supply stores for the gardeners who feel confident to collect the samples, conduct the test and read the results on their own. Cooperative Extension offices and many state soil conservation offices are a great resource with pre-packaged test kits. All you need to do is collect the samples and bring them to the local Cooperative Extension office or soil conservation office who will take care of sending them to a laboratory for testing. There is often a fee associated with these services, but the results are reliable. Probably the most useful information included in the soil test results is the pH levels in your garden soil. Simply put, the pH number measures the acidity of your soil. The lower that level, the more acidic the soil which can hamper a plant’s ability to properly absorb nutrients. High pH — or too little acidity — can also create problems resulting in stunted and malnourished plants. How do you change soil pH levels? If soil were a fairytale character, it would be Goldilocks. Under ideal conditions it should not have too much or too little acidity. It should be just right at pH neutral. To get the productive, pH neutral level, Garland said growers can use a variety of fertilizers or other soil amendments based on the pH levels shown in their soil test. The best way to bring up the pH levels — or neutralize the soil — is with the addition of lime. Commercial lime additives can be purchased, but gardeners can also use wood ash. To lower the pH, additions to the soil of sphagnum peat, iron sulfate or organic mulches will bring up the acidity to those desired neutral levels. Dedicated gardeners can’t wait to get into the dirt and start digging, and Garland understands that desire. But she also cautions against jumping the gun. This, Garland said, can lead to the soil breaking down and compacting. When soil is compacted, air, water and nutrients are blocked and unable to move through the soil to a plant’s roots. Over-enthusiastic tilling also promotes weed growth. Do you need walking space? When planning what you will plant where in your garden, take some time to also plan establish walkways and stepping areas to avoid soil compaction from foot traffic. Gardeners can never go wrong by adding compost to their soil. By combining organic matter like food scraps, garden waste, sawdust, straw or grass clippings in a bin or other container over time the natural process of decomposition breaks everything down into a nutrient-rich soil conditioner. Known as “black gold” among gardeners, compost improves the quality of the soil’s structure and texture which helps it hold nutrients and moisture. Compost also adds nutrients to the soil including nitrogen, phosphorus and potassium, the three most needed for healthy plant growth. By starting to think about your garden now and formulating a plan for testing, boosting the soil and laying out the configuration you will be ready to jump in and plant this spring. Want to know more about composting? We’re so excited to announce that Julia Bayly has a guest post on Beanpole Farmstead’s blog today. 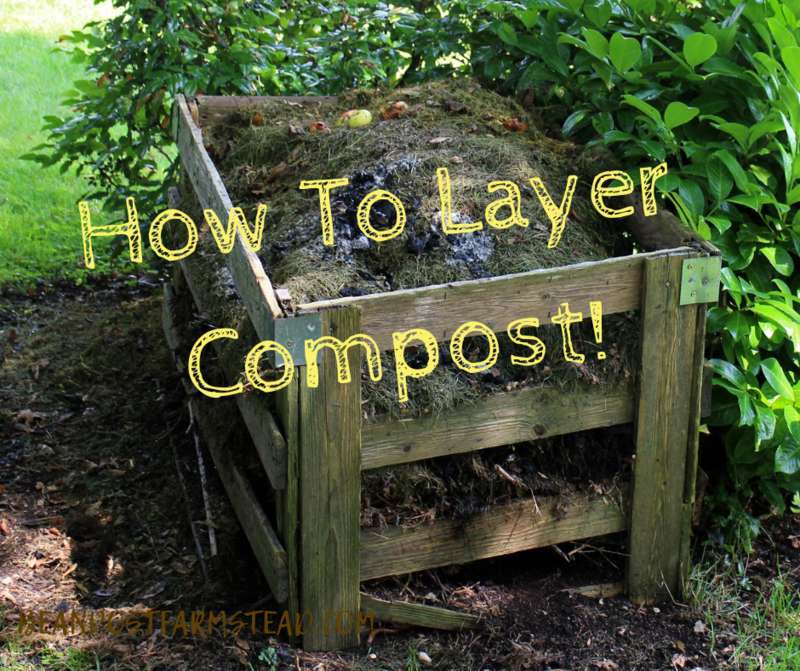 In the post, How to Layer Compost, she shares the essential steps to creating good, nutrient-rich compost through the layering method. Do pop over and check it out!